This framework, co-authored by Steve Appleton of Contact Consulting, has been published by the Joint Commissioning Panel- Mental Health. The JCP-MH includes the Royal Colleges of General Practitioners and Psychiatrists, Association of Directors of Adult Social Services, the NHS Confederation, Rethink Mental Illness and Mind. It will help provide the practical guidance that GP pathfinder consortia, local authorities, and PCTs in transition often report is lacking when commissioning for mental health and wellbeing has been written for GP pathfinder consortia, local authorities, as well as PCTs in transition, and is intended to guide commissioners as they move through a complex and changing terrain. 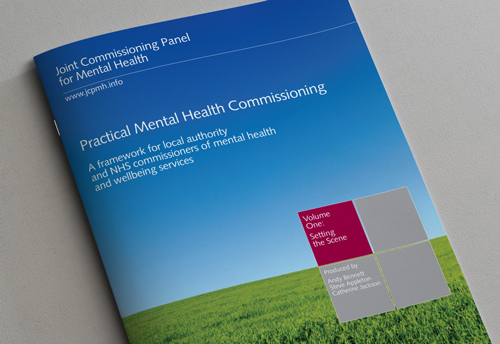 The new document provides a clear framework for what mental health commissioning looks like now, how it will work under the reforms, and identifies the opportunities to provide care in the future.